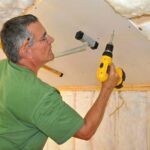 Most homes built in the past 50 years have interiors made with drywall—large, thin sheets of paper-covered gypsum nailed directly to wall studs and ceiling joists. 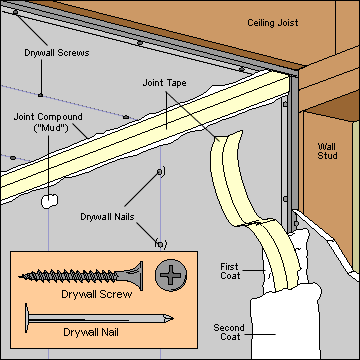 Drywall is inexpensive to buy and install and easy to repair. 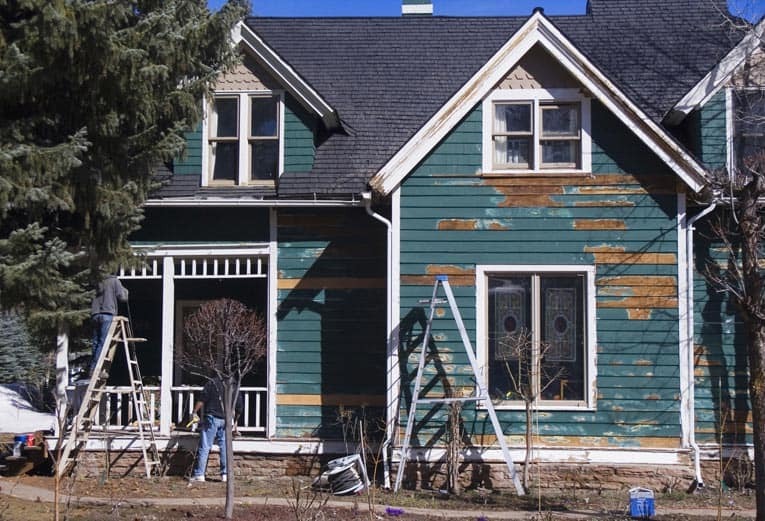 Although durable, it is also easily damaged—by doors banging into it, furniture scuffing and marking it, and water damaging it. Occasionally, drywall nails pop into view (most often in new homes because of settling or framing shrinkage), though drywall screws tend not to pop out. The areas between wood framing members are unsupported and therefore particularly vulnerable. Before drywall, most homes had plaster interiors. Plaster work is still done in new construction, but it requires more skill and is more expensive, so today it is usually found only in higher priced homes. Working with plaster takes some practice. Once mixed, it has a very brief “open” time in which the material is liquid and pliable, requiring a skilled installer, but it sets quickly and becomes rock hard in an instant. Plaster applied to wood lath is held in place by the “keys” that form when it squishes through the lath. Drywall, otherwise known as gypsum wallboard or by the common trade name Sheetrock, has replaced plaster as the most common wall surface in American homes. It is used as a backing for wall treatments such as wallpaper, fabric, tile, and wood paneling. Or it can simply be painted. Drywall has the virtue of being easy and inexpensive to install. 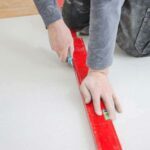 It is sold in 4-by-8-, 4-by-9-, and 4-by-10-foot sheets; the most common thicknesses are 3/8 inch, 1/2 inch, and 5/8 inch—though other thicknesses are available. Most residential construction utilizes 1/2 inch. Standard drywall is subject to moisture damage. Drywall that is water-resistant is identifiable as such because it comes with a thick blue or green backing. It is a must for bathrooms, especially showers, because of the walls’ high exposure to moisture. Both the surface and the core of water-resistant drywall are specially treated to protect against humidity. It is almost always used to back ceramic tile. After purchasing drywall, make sure to store it flat and in a dry location until you’re ready to install it. 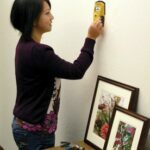 Leaning it up against a wall or other vertical surface could cause it to bow or warp and for the edges to crumble.